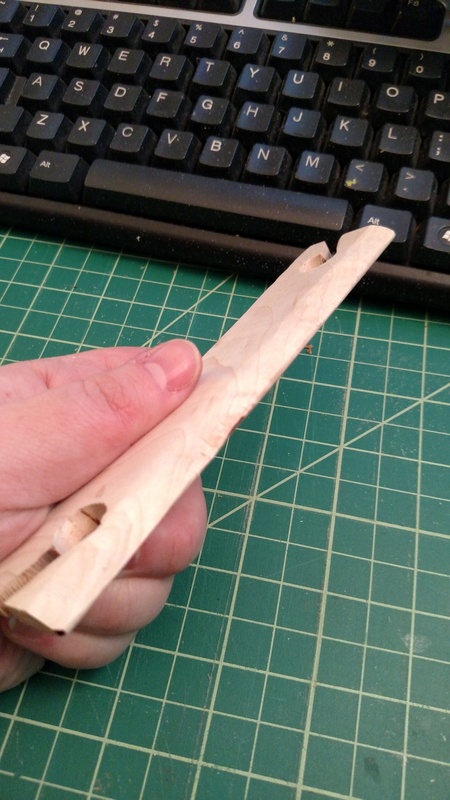 Aren’t computer keyboards supposed to be used as wood-shaving collectors? I added a beater edge to one of the shuttles I cut out on Sunday. Which came out rather well. It could probably use a bit of sanding, but it’s entirely functional currently! The glue on my loom had finished curing, so I took the tension peg from my large loom and warped it up with some black and copper thread. I’m hoping to manage to figure out pick up work this time, but given my luck with it thus far, I’ll probably just have Halloween trim. Which really, not a bad thing! I’ll probably use it for something. The total warp length appears to be around 8 feet, though I haven’t actually measured it yet. I just estimated with the fingertip to nose trick. I think it’s just about the same as my big loom, and yet weighs so much less and is much easier to work with since it’s about half the size. It’s only a little bit bigger than Carly’s tiny loom, but I made the shed area longer so I can better try to do tablet weaving on it. 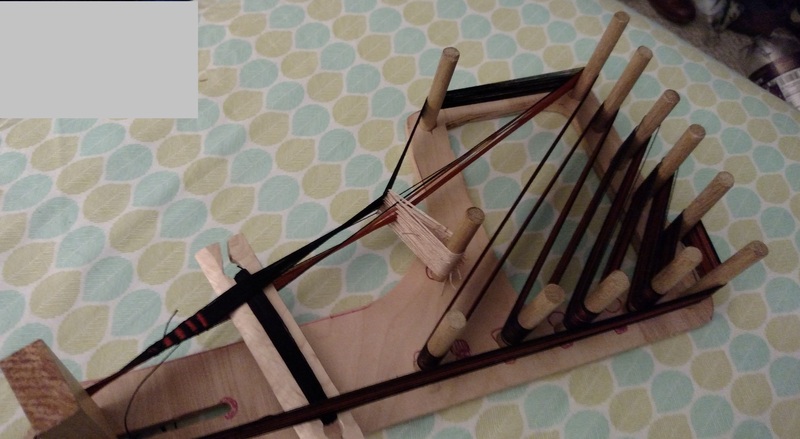 (that’s one issue with the tiny ones, the distance you have to work with is not very useful for any fancy card weaving/double heddle/weird non straightforward inkle weaving. But the small size is much better for experimenting and travel.. I’m hoping with this loom I’ll have the best of both worlds. Previous Today’s woodworking, brought to you by the letter S for snow Next yay calligraphy practice.